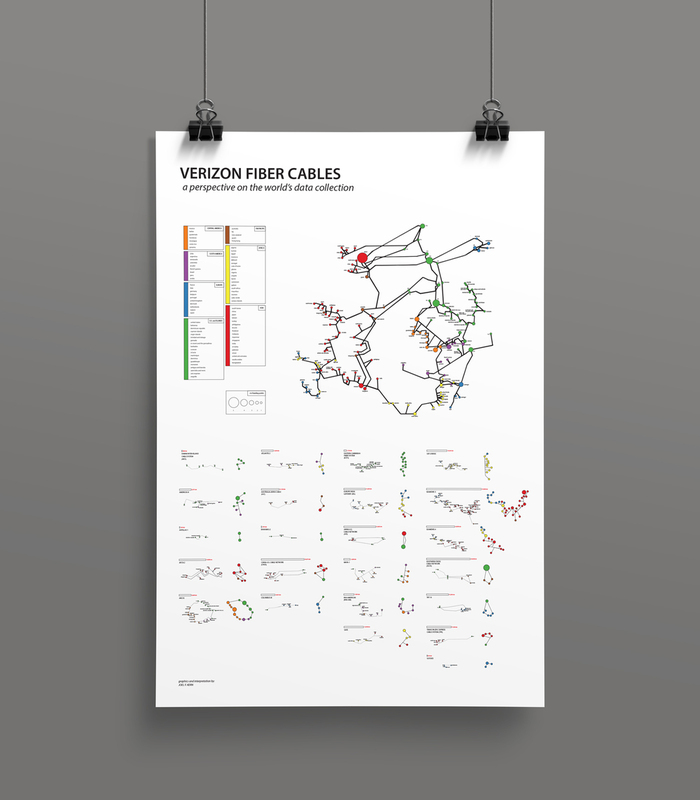 This data visualization design shows the underwater cable lines owned by Verizon Wireless. Verizon was the first company to be outed by Edward Snowden for the release of private cellular and web data. The graphic was made to show the vastness of the Verizon network and the amount of global information collected. 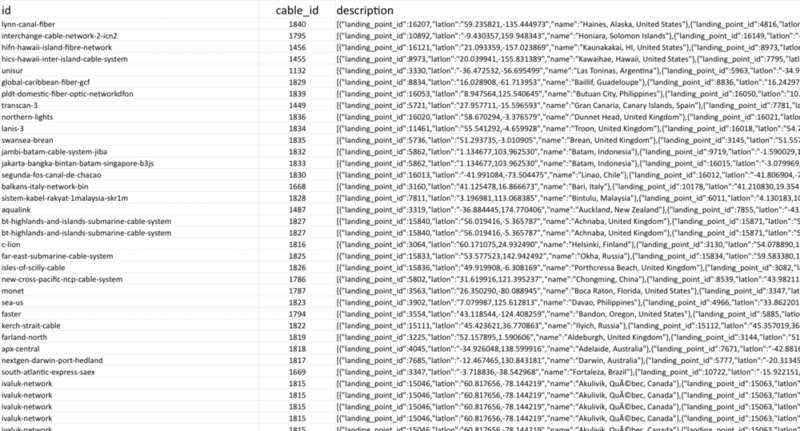 This leads one to question just how vulnerable private information is to potential cyber attack. Made in spring 2014.